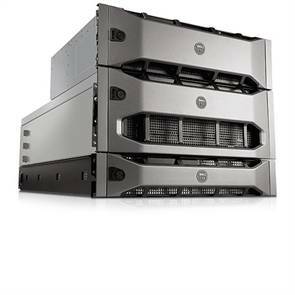 Dell EMC CX3-40 is the OLTP workhorse of the Dell EMC CX3 UltraScale series of networked storage systems. The CX3 model 40 gives you high-performance, high-capacity networked storage that meets the needs of demanding OLTP workloads and large-scale e-mail environments. Scale seamlessly up to 231TB of storage capacity leveraging the end-to-end 4 Gbps bandwidth of the Dell EMC CX3 UltraScale architecture. Get the price/performance and five 9s availability (99.999 percent) your business needs. Wizard-driven software capabilities make daily management easy and advanced functionality protects your data. Tap four 4 Gbps Fibre Channel and eight 1 Gbps iSCSI host ports, or a Fibre Channel-only configuration with eight 4 Gbps host ports.